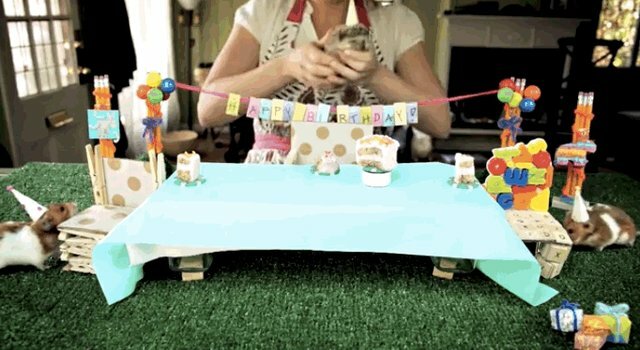 A hedgie's birthday is a very important event, as everyone knows. 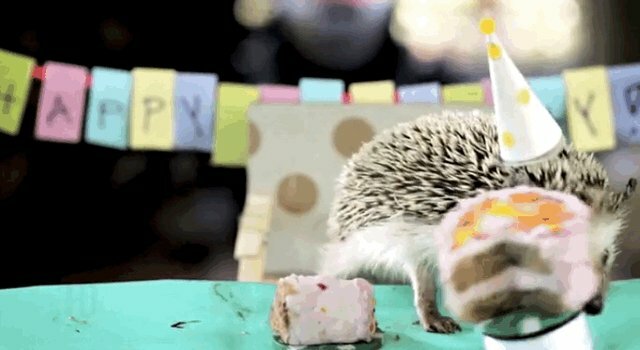 And this particular hedgehog was in for a particularly special tiny birthday celebration. Tiny banners, tiny plates, and even a tiny hedgehog-friendly cake were all present and accounted for. 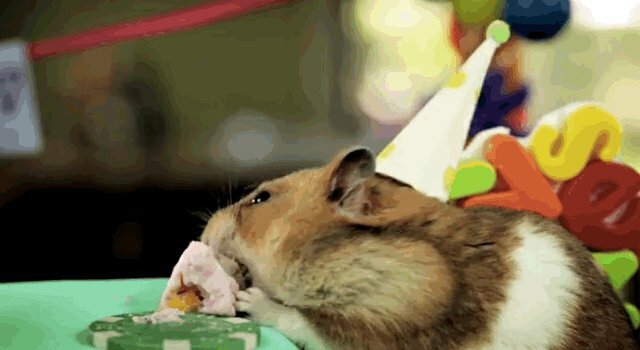 Hedgehog's hamster friends were also in attendance, and greatly enjoyed the festivities -- and the cake. Well. Mostly the cake, actually. 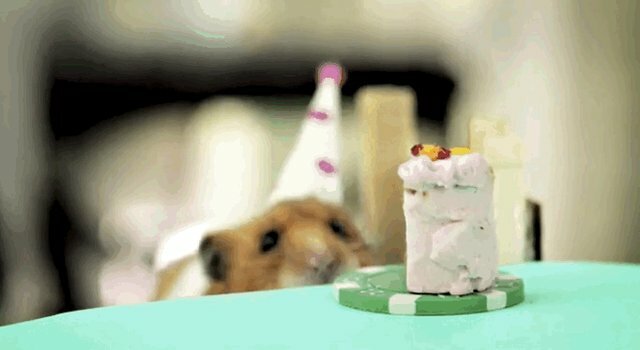 But Hedgehog and friends were pleased nonetheless!Enjoy the entirety of the festivities below, and check out how to make safe and natural hamster and hedgehog treats for your pets.